I was worried I would have to scrounge for food tonight, when I got a wonderful text from my friend. I was pretty excited. I did not feel like eating alone–or even cooking, for that matter–again. We met at a local pizzeria. I’d only been there once and really liked it, so I was pretty okay with her selection. Last time I was there, I ordered a hot sub. It was good, but huge. So this time I decided to try their pizza. 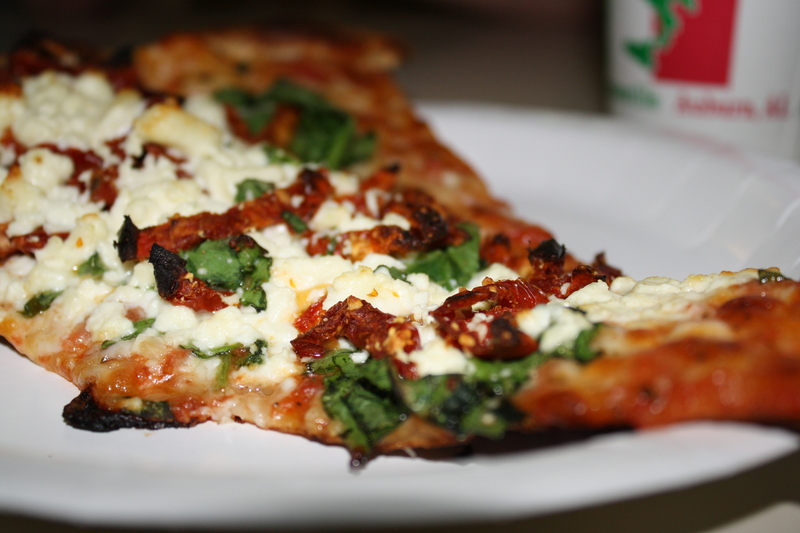 I ordered thin crust with feta cheese, spinach, and sun-dried tomatoes. It was decent, though I think I was expecting something more. The experience honestly wasn’t all I had hoped for either. The workers were generally rude to my friends and me. It kind of irked me that my pizza was burnt and I had to rake the ingredients to cover the entire pizza. I realize that might be a bit petty, but I think it bothered me mostly because of the unpleasant atmosphere. After eating at the pizzeria, we walked to TCBY for some frozen yogurt and coffee. One of my friends had a few coupons, and coupons always make me happy. 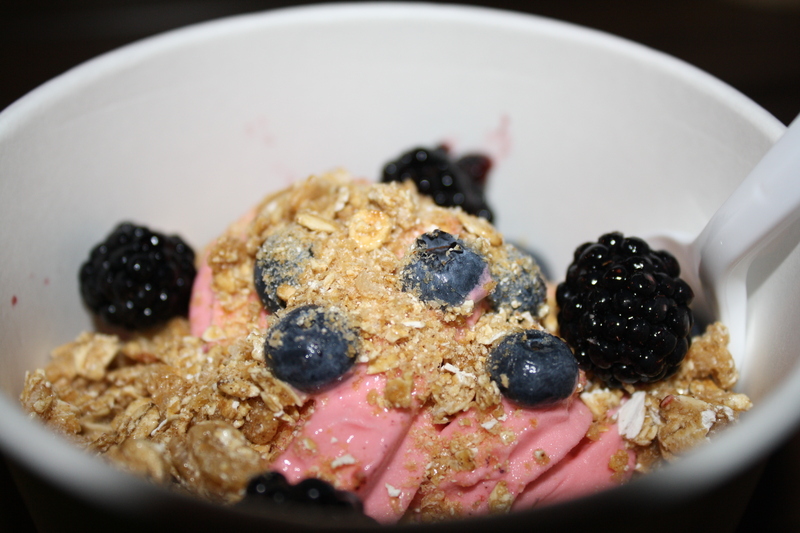 I had Tart Pomegranate Acai (I think that’s what it was called) with blueberries, blackberries, and granola. It was fabulous! This was my first experience at a TCBY, and I think it’s safe to say that it’s the first of many. My frozen yogurt was amazing! I’m so glad the night ended the way it did. I had lots of fun with my friends. It was nice to chill for a few hours. This entry was posted in Uncategorized and tagged blackberries, blueberries, dinner, feta, food, fun, granola, pizza, spinach, tcby, tomato, yogurt. Bookmark the permalink.